For as long as we can remember, the Toyota Corolla never sparked much excitement. That has changed. 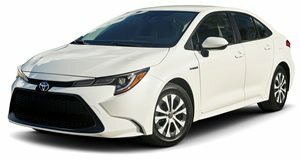 The all-new 12th generation Corolla, according to the automaker, has officially begun production in the town of Blue Springs, Mississippi. The first examples have already rolled off the production line. Last April, Toyota announced plans to invest $170 million in this manufacturing facility specifically for the new Corolla, which rides on the new TNGA global platform. This also underpins, for example, the also very highly regarded new RAV4 crossover. So why are we digging this new Corolla? For starters, the hybrid variant is essentially the new Prius; the EPA released nearly identical fuel economy figures for the two models. This makes sense considering both vehicles are powered by the same Atkinson cycle 1.8-liter inline-four with a pair of electric motors and a nickel-hydride battery. 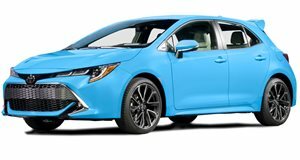 And then there’s the new Corolla hatchback. Trust us, it’s a way better car than you’d initially think. Not only does it look great inside and out, but Toyota even went as far as to source a brand-new six-speed manual gearbox specifically for the hatch. Toyota didn’t have to but it wanted to do right here. Could a Corolla hot hatch, specifically one tuned by GRMN, be in the works? Possibly, yes, but Toyota has yet to confirm or deny this. While automakers such as Ford and GM are cutting back or eliminating outright traditional sedans and hatchbacks, Toyota has no intention of following suit. Blue Springs is not the only Corolla production plant, of course, but it is tasked with providing cars across the Americas and the Caribbean. 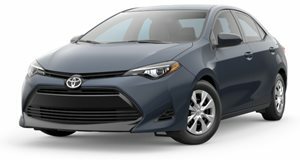 With two available body styles, a hybrid and conventionally powered engine options, the 2020 Toyota Corolla is no longer a plain Jane commuter car. It has style and a fun-to-drive attitude – especially if you go for the hatch and six-speed manual combo.